With Paris Fashion Week in full swing we thought this would be a fitting time to share photos from our stay at the recently opened Les Bains hotel. After all, the building was formerly Les Bains Douche, the Parisian equivalent of New York's Studio 54 where the likes of Yves Saint Laurent, Karl Lagerfeld, Naomi Campbell, and Claudia Schiffer partied hard through the 80s and 90s. However, the building's heritage hasn't always been hedonistic. In fact the beautiful Haussmann building started life 130 years ago in 1885 as a luxurious private bathhouse that hosted the likes of French novelist Marcel Proust. 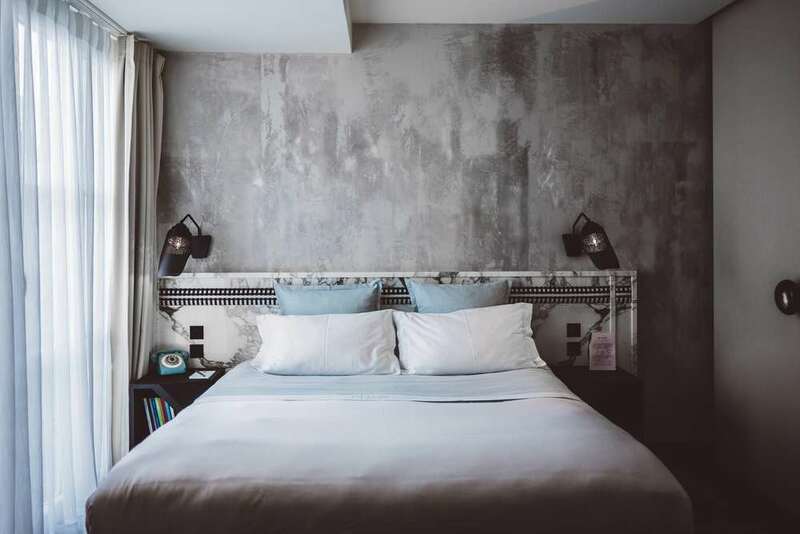 Now, after a brief closure, the historic site in Paris' 3rd arrondissement (which includes the northern part of the trendy Le Marais district) has emerged as a luxury hotel that pays homage to the heritage of its storied past whilst offering a bold new take on Parisian hospitality. Thanks to outstanding work from the revered team of architects and designers the property shines as a vibrant, international clubhouse and hotel whose features include a restaurant, bars, a private lounge, a club, spa pool, guest rooms, and suites. The design of the hotel is as varied as its past; from the blood red, molten ceiling of the main bar and restaurant to the serene and civilised surrounds of the Le Salon Chinois honesty bar. Artistic influences continue through each of the thirty-nine spacious rooms and suites. Each has its own subtly different and unique personality and features white marble, precious woods, custom-crafted furniture, works from international artists, a Gainsbourienne carpet and Warhol-esque sofa. The salon style bathrooms are stocked with care products from luxury New York brand Le Labo, music can be streamed throughout the room via a Marshall bluetooth speaker system, floors are heated, and a well stocked "maxi bar" features vintage crystal. The attention to detail that has gone into each room is impressive and certainly helps to make every guest feel like a rock star. 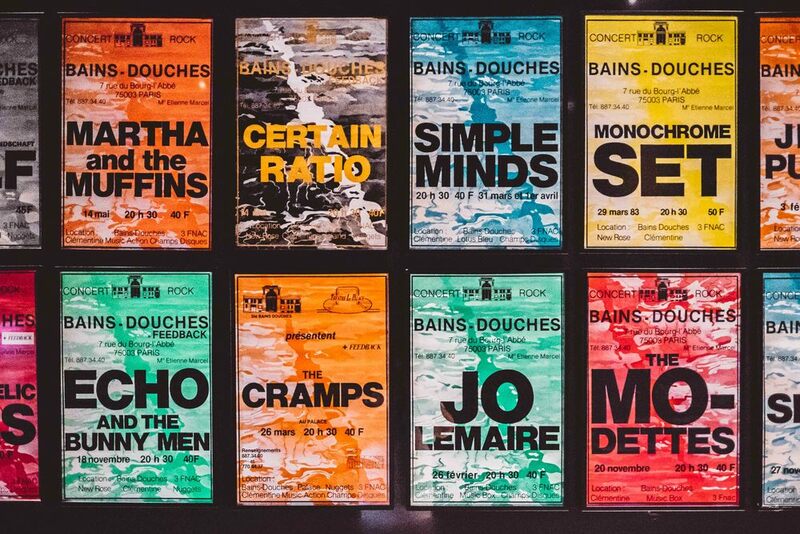 Speaking of which, for those who still reminisce about the glory years at Les Bains Douche, the nightclub has reopened and spins tunes through to dawn every week from Wednesday to Saturday. We stayed in a superior room on the first floor which included a balcony overlooking the art-filled internal courtyard. Service was fantastic, especially from the friendly front of house team who couldn't do enough for us, and we also enjoyed dinner in the dramatic La Salle à Manger whose consulting chef Philippe Labé earned three Michelin stars at Shangri La Paris. 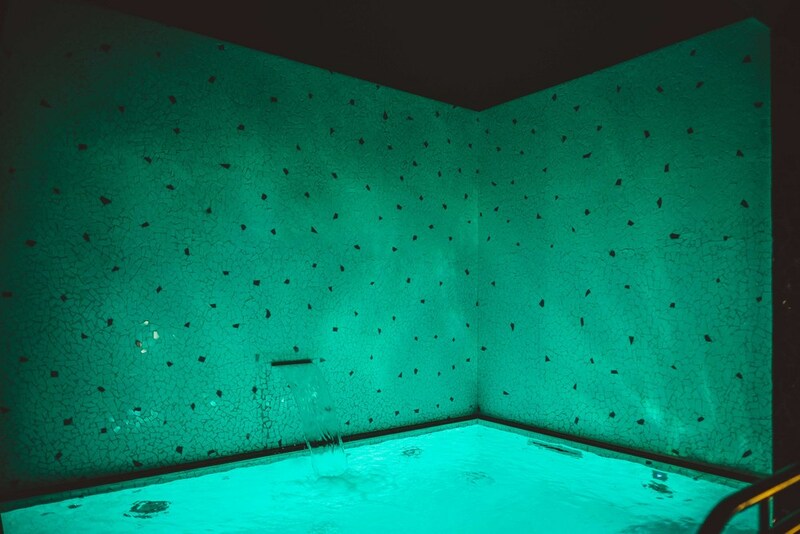 It would have been a crime not to sample the basement's legendary spa pool so we had a couple of dips after which we indulged in the the ultra plush bathrobes which were so comfortable we almost added them to the bill. However, our burgeoning suitcases indicated that we had experienced enough decadence for this trip.